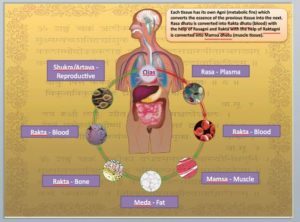 Ayurveda is the oldest existing knowledge about the life and human health, has more than 5000 years. These ancient standards are still 100% valid. At the workshop you will learn how to be a powerful knowledge to your situation, your health and your well-being. Participation in two days, 100 EUR. Only on the first day – 60 EUR. The possibility of aid on Saturday 60 EUR and participation on Sundays. Advances for reservations places in the workshop of 30 EUR per day and 50 EUR for two days. Account number for payment will be sent to RSVP for the workshop, which send to the email address: taktorajest@gmail.com. The application and a deposit is required to book a place at the workshop. Seats are limited. > Anila Popławska is an Ayurvedic consultant, adviser healthy lifestyle with many years of experience in diet therapy. She graduated from the training and practice of Ayurvedic hospital in India. Therapist working with the body methods Life Impressions, Polarity and Craniosacral. Also specializes in Ayurvedic treatments and Panchakarma. She lives and maintains a practice in Tamil Nadu, India. > Piotr Poplawski is a practicing counselor Ayurvedic medicine and quantum physics, with over 20 years of experience in therapeutic work, consulting and coaching – individual and with large groups of people. In his practice he combines powerful Ayurvedic knowledge with the latest scientific achievements, which resulted in the creation of the Academy of Quality Life for the future, beginners and experienced therapists. Therapeutic work began in London and is currently continuing it in Europe, India and Poland, helping thousands of individuals and businesses to achieve balance, harmony, in locating its mission and way of life.